The Bachelor of Science provides a multitude of study options, graduate pathways and career outcomes, and the opportunity for students to tailor their degree to suit their interests and goals. It spans the sciences, health sciences, technology and engineering systems. As well as preparing students for a professional career in science, the Bachelor of Science is also the first step towards a career in fields such as engineering, veterinary science or health practice, which can be pursued through further study. This course is an ideal pathway, along with the Bachelor of Biomedicine, to graduate professional entry programs in dental science, medicine, nursing, optometry and physiotherapy. 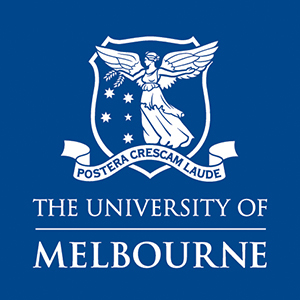 It is also the shortest pathway to the Doctor of Veterinary Medicine at Melbourne. The Bachelor of Science (Extended) program is also available for motivated and aspiring Indigenous students, offering a supported transition to University through an additional year of study. You can apply to the Bachelor of Science on its own, or in a range of Graduate Degree Packages (GDP) including courses in dental surgery, law, optometry, physiotherapy, teaching and veterinary medicine. You can apply for a GDP direct from completing an Australian Year 12 or the International Baccalaureate (IB) as a domestic or international student in Australia or as a domestic student outside Australia. See study.unimelb.edu.au for details. Year 12 or equivalent: Units 3 and 4: a study score of at least 25 in English/English Language/Literature or at least 30 in EAL; and a study score of at least 25 in Mathematical Methods or Specialist Mathematics; and a study score of at least 25 in one of Biology, Chemistry or Physics; OR Units 3 and 4: a study score of at least 25 in English/English Language/Literature or at least 30 in EAL; and a study score of at least 25 in Mathematical Methods and Specialist Mathematics; Students wanting to progress to the Doctor of Veterinary Medicine are encouraged to complete VCE Units 3 and 4 in Chemistry (or equivalent). Students will complete 24 subjects (generally taking three years full time), of which four to six subjects are breadth. Each year they will complete eight subjects, and start to specialise in their chosen area of study as they progress through the degree. The structure of the course provides flexibility and choice, which allows students to keep their options for their major open until the end of second year. In third year, students will complete their major area of study. Agricultural Science; Animal Health and Disease; Animal Science and Management; Biochemistry and Molecular Biology; Bioengineering Systems; Biotechnology; Cell and Developmental Biology; Chemical Systems; Chemistry; Civil Systems; Climate and Weather; Computational Biology; Computing and Software Systems; Data Science; Ecology and Evolutionary Biology; Electrical Systems; Environmental Engineering Systems; Environmental Science; Food Science; Genetics; Geography; Geology; Human Nutrition; Human Structure and Function; Immunology; Marine Biology; Mathematical Physics; Mathematics and Statistics; Mechanical Systems; Mechatronics Systems; Microbiology and Immunology; Neuroscience; Pathology; Pharmacology; Physics; Physiology; Plant Science; Psychology; Spatial Systems; Zoology. Bachelor of Science graduates can pursue further study by undertaking an honours year or a masters program. These further study options offer an ideal pathway to research higher degrees across a range of sciences, including the biomedical sciences; IT and engineering; plant, animal and environmental sciences; and the physical and mathematical sciences. They also lead to further study in emerging sciences such as bioinformatics, biotechnology and management science. Students may also pursue graduate studies in professional areas including medicine, optometry and other health sciences, law, teaching and veterinary science. The Diploma in General Studies may give students guaranteed entry into the Bachelor of Science depending on their academic performance. School leavers applying for the Bachelor of Science at the University of Melbourne can secure a place in the following graduate courses at the same time through the Graduate Degree Packages program, subject to meeting entry requirements: Doctor of Dental Surgery; Doctor of Physiotherapy; Doctor of Veterinary Medicine; Juris Doctor; Master of Engineering; Doctor of Optometry; Master of Teaching (Early Childhood / Early Childhood and Primary) / Primary Secondary). The Chancellor's Scholars guarantees very high-achieving students a Commonwealth Supported Place or International Fee Place in the graduate program* of their choice, plus a range of other benefits complementing the Bachelor of Science. The guarantee includes degrees such as the Doctor of Medicine, Juris Doctor (Law), Doctor of Dental Surgery, Doctor of Veterinary Medicine, Doctor of Optometry and the Master of Architecture. No minimum Grade Point Average is required in your undergraduate degree. Students will receive a Melbourne Chancellor's Scholarship. You must have completed an Australian Year 12 or the International Baccalaureate in 2019, satisfied prerequisites and extra requirements, and achieved an ATAR (or notional ATAR) of 99.90 or above. Indigenous applicants must achieve an ATAR (or notional ATAR) of 90.00 or above. *This guarantee is subject to meeting any selection requirements as specified for the graduate program. Graduates with relevant approved studies may qualify for professional membership of the Australian Computer Society and for international membership of the Association for Computing Machinery and the Association for Information Systems. A 125-point study sequence, including the psychology major, is accredited by the Australian Psychology Accreditation Council (APAC).